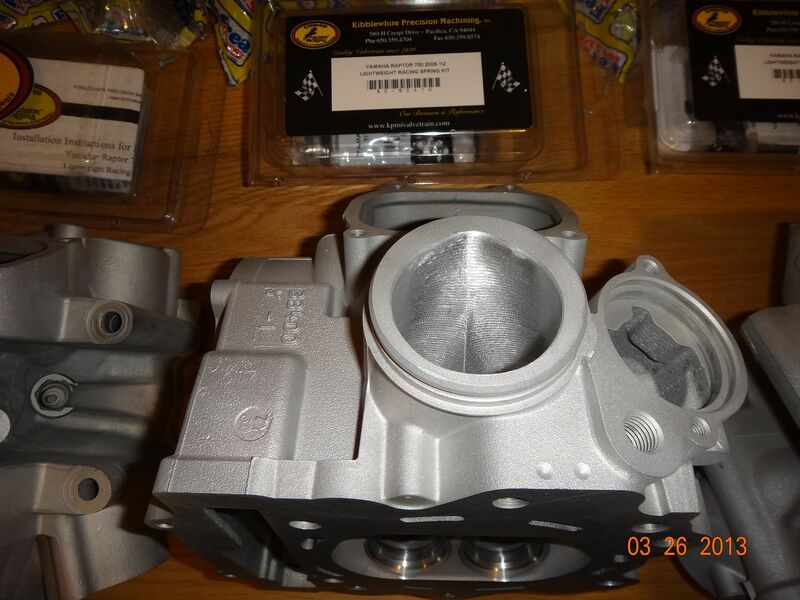 Rhino 700 +2 Ported Heads In Stock!!!! Just got our stocking order in today .... complete with Ferrea valves & Kibblewhite valve springs ... $900 with your core. pic got cut off! !we have 4 in heads in stock and more TBs on the way!!! Let the hp war begin!! I'm 100% certain my wife would kill me. As much as I want to, I got to pass. On a more serious note, what kind of power gains would this give over a stock head? Power just up on top end, or power down on the bottom end, or power everywhere? Lots of guys say the 700 motor has a lot of power to be unlocked in the head, but I've just not read too much about what kind of power to expect. Ya do it..its only money and its not making your rhino any faster just sitting there in your pocket!! looks like I've got some cash to save i just buttoned up mine tonite james i will ride it awhile and then we will see a guy always needs more power thanks for the pics nikki..
08 sport edition open intake RW full exhaust four seater cage beard seats billet shifter stainless roof full window 26"mudlites ss ITP wheels JBS hot rod sheave 16's OD purple spring friction washers, LED tail lights 2000lbs winchJBS rad guards... coming soon 3d msd with JBS MAPS>>>CAM? TB? Lots of power to be made in the head!! ohhhhhhhhhhhhhhhhhhhhhhhhhhh man, damn i want one. lol. just gotta see what uncle sam wants out of me this year. damn accountant !!!!! lol. James has my rhinojet now, installing the reworked throttle body and trying to figure out what i screwed up last weekend. with the stock t body it ran great so i'm waiting to see how the reworked t body does. but i go to sleep at night and wake up every morning thinking" ported polished heads, crank, rod, piston" and how much fun it would be running over canned hams, wildpussys, and them popo boys. hmmmmmmmmmmm !!!!! 2013 Tactical Black Rhino and Powered by JBS. I know, I know, I know !!!!!! but that JBS kool-aid is sooooooooooooooooooooooooooo good. i figure, a little more power is good, so alot more power has to be even better !!!!!!!!!!! ...lol...I hear ya Jet !! Is the price still the same $900 with core? And if my head on my 2012 has had some cleanup work done on it like removing imperfections in the mold or cast marks can it still be used as a core or does it have to be a untouched like new head? 14" MSA M12 Diesel wheels & 27" ITP Blackwater Evo. 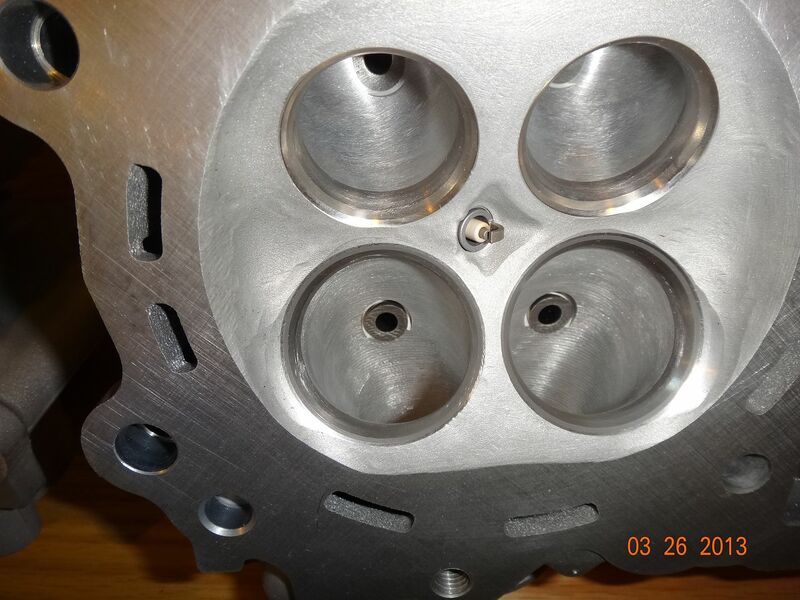 Subject: Re: Rhino 700 +2 Ported Heads In Stock!!!! » Wanted - (2) Stock Rhino seats. » Stock 08' 700 Rhino complete exhaust.